IRELAND could double its revenue from sport tourism from €300m to €600m in just five years, a major tourism summit has been told. The sports tourism industry is worth an estimated €450bn globally – and is the fastest growing tourism sector – but Ireland needs a national strategy supported by Government to increase its share of the pie. The organisers behind the European Sport Tourism Summit, the first event of its kind to be held in this country, are calling for a 'national bid unit' that would be supported by Government and would bid for international events. Former Ireland rugby legend Keith Wood, one of the founders of W2 Consulting along with sports consultant Mark O'Connell, said this was crucial to the success of the sector. "We've looked at best practice elsewhere in the world, and how they've delivered on their aspirations was through a bid company," he said. 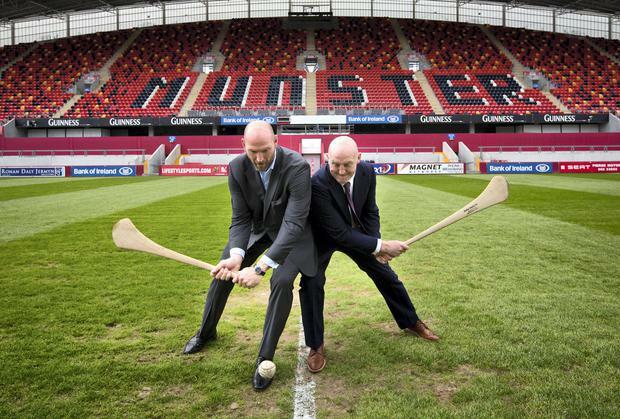 The European Sport Tourism Summit brought some of the world's leading experts in the sector together for a major think-tank at Thomond Park in Limerick. Among the high profile international experts giving their insights were Martin Sneddon, CEO of New Zealand Rugby World Cup; Lars Lundov, CEO of Sport Event Denmark; Rick Traer, CEO, Canad- ian Sports Tourism Alliance; and former England and Lions star Lawrence Dallaglio. Head of major events for Failte Ireland, Keith McCormack said 10pc of European holiday makers choose their destinations based on the activities they can do there. "The key thing for Ireland is we're very well positioned and we have the natural backdrop for people to enjoy activity-based holidays," he said. Another speaker, Sarah Harvey, of Tough Mudder – the largest adventure race brand in the world – said Ireland was an excellent location for mass-participation events. Tough Mudder is the fastest growing mass-participation event in the world and is expected to attract 10,000 participants to Punchestown Racecourse on October 4 and 5 when it comes here for the first time. Keith Wood said he hoped the summit had ignited a spark. "Sports tourists spend twice as much as anyone else and we want a piece of that action," he said. Ellie Donnelly The world of business and media has begun to pay tribute to Feargal Quinn, who passed away following a short illness. Donal O'Donovan Businessman and former senator Feargal Quinn has died following a short illness. Independent.ie Business Desk BT plans to exit the Irish market though the £400m (€462m) sale of BT Ireland. BT plans to exit the Irish market though the £400m (€462m) sale of BT Ireland.